You will find all the things here which are required for a perfect holiday; amusement parks, shopping malls, beaches, pubs, etc..
Let’s start at the very beginning, the airport, the Changi airport, awarded the world’s best airport for 5 consecutive years till 2017. With shops like Marc Jacob, Harrods, Charles n Kieth, Major luxury brands, Victoria secret, etc, you can shop till you drop! It is complemented by a lot of greenery and ocean life. This Airport takes care of everything from Food to photo stations to foot massagers! Yes, they have foot massagers near the seatings. Very few airports in the world have those. So when you are tired after shopping, you know where to go. Read more about the Changi Airport here and know all the important tips to utilize your time at the airport properly. Just make sure to spend all the coins because later you will not be able to exchange any, so it is better to spend it as soon as you get some. 1. If you are an Indian then stay in or near little India because you will easily find Indian food here and the best exchange rate. There are a lot of Indian restaurants here, I mean really a lot of them and some gold shops as well. Mustafa is in this area, most of the people visiting Singapore definitely want to visit it for good electronics but mind you it is not that cheap as you might be expecting, it used to be cheap due to the low value of the Singapore dollar(SGD) but now the rates are on the higher side comparatively. If you still want to take a tour, it`s fine just go ahead. When you choose a hotel, keep a close eye on the room size because most hotels offer small rooms. 2. 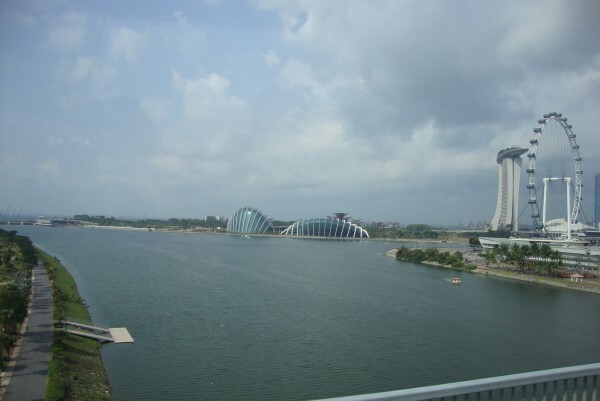 Marina Bay is one of the expensive locations in the city, you should stay here to catch the amazing city view. You can easily find hotels or aparthotels here under varied budgets. It is a good idea to stay near the area where you will be visiting the most or the center area so you spend less time in commuting between locations. Check out my stay in Singapore at Pan Pacific Suites. Take a look inside the suite and one of the best views in the city. Taxi in Singapore is very easily available but is expensive as well. In case you are looking for some cheap mode of transport then you can easily rely on MRT and buses. These are really cheap and charge you on the basis of the distance travelled. The fare very from 0.80 SGD to 1.83 SGD. There is an EZ link card and a Singapore tourist card for various travel needs. EZ link card is worth 5 SGD and then you can top up to travel in any transport like MRT, buses, taxi or even for shopping whereas Singapore tourist card is valid for 1, 2, or 3 days and cost 10$, 16$, and 20$ respectively for unlimited travel in MRT and buses, there are some exceptions as well. Note: EZ link card helps in saving more than the tourist card. Like most people, if you also want to buy the latest TV or any electronic item at better prices then try Niranjan`s. It is nearby Mustafa. I also bought it from there, I found better prices here as compared to all the other stores. All shopkeepers mostly maintain a price list for the customers. They do bargain so try your luck. DON`T FORGET TO TAKE VAT REFUND FROM THE AIRPORT! get the filled form from every shop from where you buy. All shops have a minimum shopping amount set after which they provide the form. You will have to ask the shopkeeper regarding this, as nobody will tell this to you on their own and you will also need your passport for this. Read more travel tips so that you never miss any benefit you are entitled to, rather subscribe to stay updated. – Amusement park (An entire day! There are 3 ways to reach this island– by cable car, car or by metro. You can choose your means. 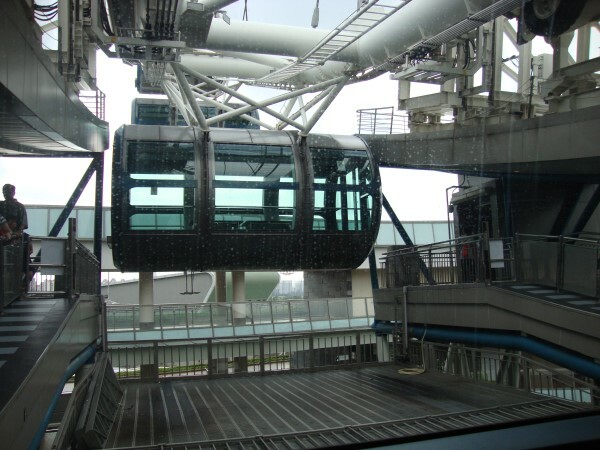 The cable car services can be temporarily shut down if the weather conditions are bad. There are multiple hotels and resorts (near beaches as well) where you can choose to stay. I did not stay here and chose to travel as and when I wanted to visit the attractions. I feel too many attractions daily kind of takes the fun out of it, so I prefer to mix it up a little with shopping, city tours, food, and other fun places. So I will suggest you choose one thing out of all, complete that and then come back after a few days. I chose the Amusement park first and I could not do all the activities in one day, 🙁 but no worries, I really enjoyed. 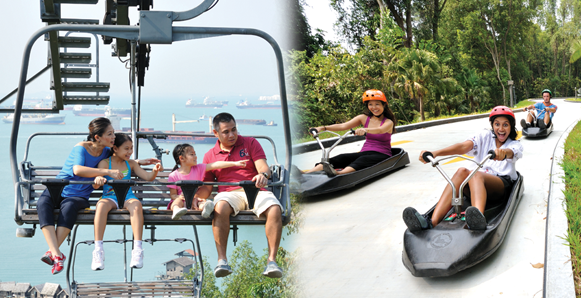 Now you can also get a virtual tour of Singapore and watch all the things to do in Singapore. Check it out now! The best activity, I think, is the LUGE RIDE, I loved it.. I wish I could do it again.. It is like a cable car ride but in an open chair, it`s like you are hung high above only with a seat belt on a chair and you enjoy a beautiful view along. If you think it is over, it isn`t..the above-mentioned ride is only one way and on the return, you get to do go-karinggg!!! The length is good, ensuring a wonderful ride.. In the evening, you can enjoy the wings of time show and you must. Don`t forget to carry the guide and the map along with you. You can get it at the entrance or the information. This will make sure that you do not miss any attraction. 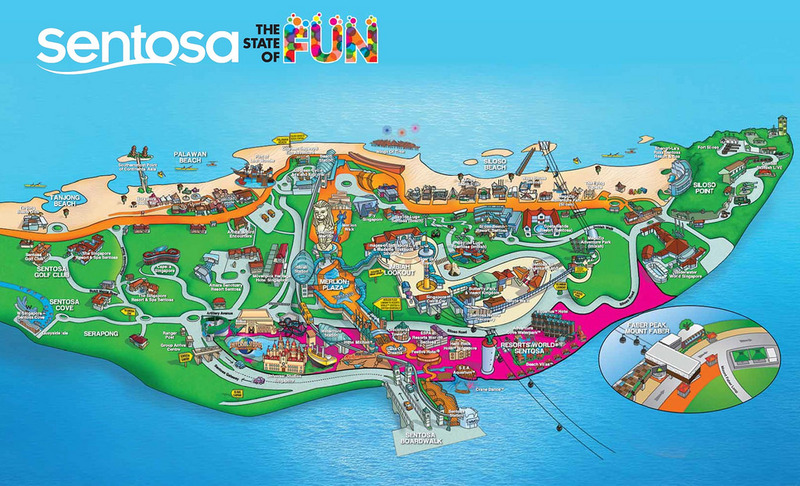 I strongly suggest you spare 5 mins in the beginning after getting the map and the guide, take a look at it and plan your entire day at the park. It is important otherwise you will not be able to catch things that you really want to. The above-mentioned show is beautiful, one of it’s kind. This was the first time I saw something like this. They use lights to project pictures on water and narrate a story using it. Also, there is an underwater world, where you can enjoy ocean life. If you haven’t seen it before then you must watch here. It is a good experience, try visiting here around the time when Dolphin’s are feed. This park has also maintained a water park surrounded by water rides and snack junctions. You can look at the amazing Octopus and fascinating Jellyfishes at Ocean Park. You can also enjoy a 4D show here but these shows are pretty expensive and if you have already watched a similar show before this trip then you can skip this one for sure. This beach is at Sentosa island and it is the last station for the cable car as well. It is a beautiful beach and has a suspension bridge, just like one in the Pirates of the Carribean movie. Enjoy some amazing adventurous activities here to make your trip more exciting. Eat, relax, and enjoy activities like zip lining, water sports, and more here! I couldn`t cover Universal studios on my first visit as I was busy covering the malls ;P but I made a point to cover it during the second trip. It also has a casino near the studio entrance, near a big Hershey`s store (yum! ), if you wanna play then do carry your original passport. Universal studios is like Disneyland and different from the above-mentioned amusement park. Here you will find famous characters with whom you can get clicked like I did! There are 7 parks, each with their respective restaurants and merchandise shops. All parks have theme-based restaurants, needless to mention but still. There are always long queues for all the attractions and even the photographs, so reach the entrance before time to stay in the front. The 3D transformer show was great, all the rides are fun-filled n thrilling. Not for weak hearted people. 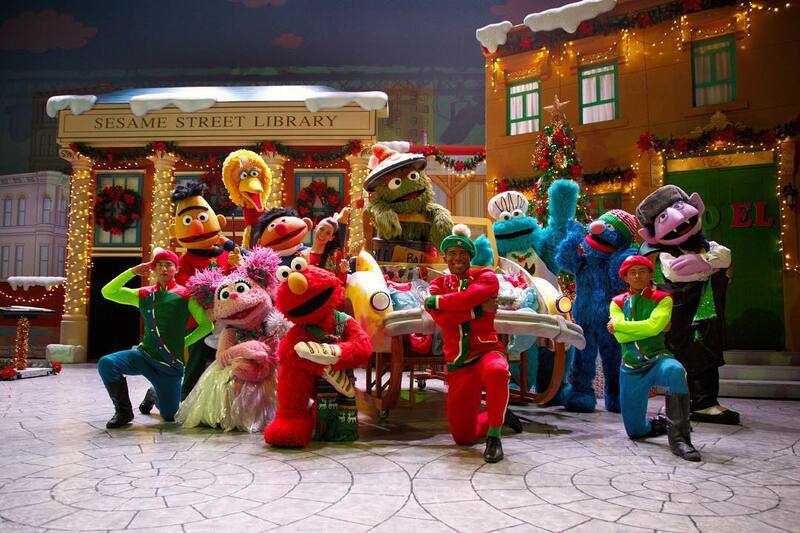 I didn’t find Oscar`s grouchmas show that great, you can skip it if you are not one of its fans. Lights, camera, action is one of the shows, it shows how effects are put into a movie scene. It was wonderful and should not be missed. There is one Akshay Kumar movie, Kambakkht Ishq, in which he plays the role of a stuntman. One of the scenes shows him riding a water bike and fighting with gangsters. That entire sequence was shot here and you can watch it again, live. Name of the show is Waterworld. Sit in the front row if you want to get wet! Donkey Live is more for kids but you can watch it if you have time, like after taking all the rides. A talking Donkey`s movie is put on the projector and someone speaks from the back. Street shows are many in this studio, all are good. In short, the place is wonderful n you must visit this to enjoy your life to the fullest n also to capture your childhood. You can even call it the Singapore eye but it is famous as the flyer, it is a good experience and this place consists of other activities as well. Like an XD show, a virtual plane flying etc..
XD show is like a normal 4D show and Virtual flying was too expensive. In the 2nd image, you can see the tube in which people stay during the ride, the view up top is amazing, you will enjoy. 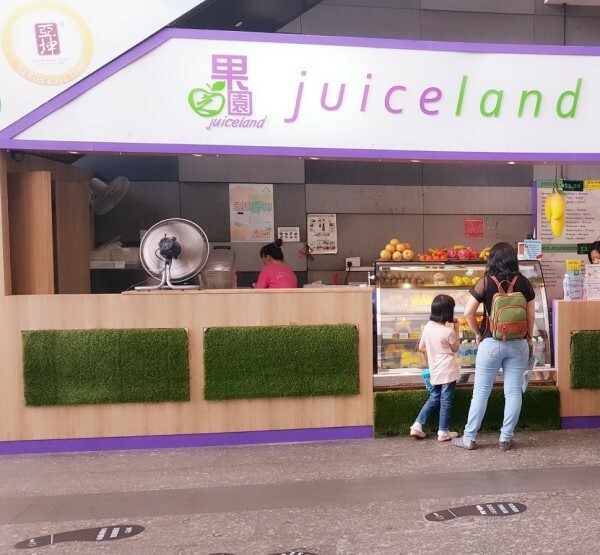 The best part of this is the in the 3rd image, the juice stall, lol… I don`t know why but I feel that this place offers the best mango juice. People told me that it is the same everywhere but I disagree. I loved the juice. 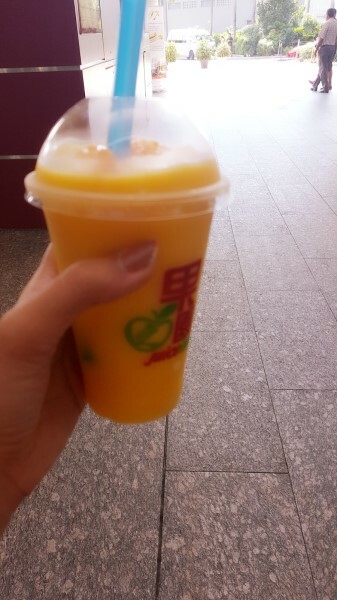 The name of the stall has changed now, just can’t wait to try the Mango shake again. I wonder if it still tastes amazing? You sit in an open cart, along cart, and get a ride all along the jungle. It lasts for approx 45 mins. Be prepared for standing in a long queue, carry something to eat while waiting in the queue. I was starving and couldn’t leave the line. You will not be able to click good pictures due to less light. Flash photography is not permitted. You know what, it is far better to enjoy the trip and stay least bothered about the pictures. You should click pictures if the time permits, otherwise just capture the memories in your mind. So that when you look back, you don`t regret wasting time fixing the camera settings and missing the ride. After the ride, you get to see a fire show. This safari is okay, it will be a good experience if you haven’t been on any. There are more attractions nearby Night Safari like River Safari, Singapore Zoo and now the Bird Park is also coming here, currently, it is under renovation. Try to plan a visit to 2 parks in a day, more than 2 will make you tired. Singapore Zoo has a good collection of our loved animals, if you love animals then you must visit here. You can cherish watching Pandas and Kangaroos. 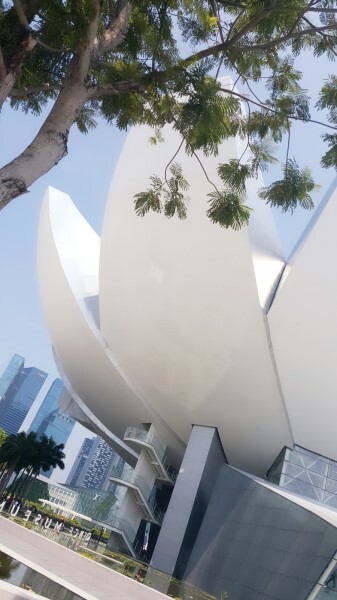 There is a museum near Marina bay sands where you can find some props from the series. I have heard mixed reviews about this place. Unfortunately, I couldn`t visit this place. All I know is that you will get to see only some props here and not any characters from the movie. – It is the party hub of Singapore, a perfect place for all the people who love to dance, listen to music n booze. There are many concept bars here and ZOUK is most famous out of all. It is open on Wednesday, Friday, and Saturday from 2200 hrs onwards. It is a huge bar, rest you will fall in love with the riverside once you reach there. Apart from this list, there are more ways to enjoy your evenings and nightlife in Singapore. Know it all here! If you love shopping, you belong to this place. It is a huge shopping area and is nearby Little India. You will get all kind of stuff here and at dirt cheap prices. You can buy gifts and souvenirs from here. There is also a mall here, Bugis junction, you will find brands like Mango, Charles n Keith etc. So you get all kind of stuff to shop, branded n local. This is the prime area of Singapore, Marina Bay is a hotel, shopping mall, and a casino. It is huge and consists of almost everything, even a gondola ride. If you are interested in Casino then don`t forget to carry your passport (original). You will find all kinds of shops here from high-end brands to regular brands. There is a huge food court at the end of the mall along with some chocolate and grocery shops. Near the food court, you will find an exit from the mall and that will lead to the entrance of Museum, the one that I talked about above. It is a cheap market and you can get small things here like keychains n magnets. Nothing special, everything here is available in Bugis street. 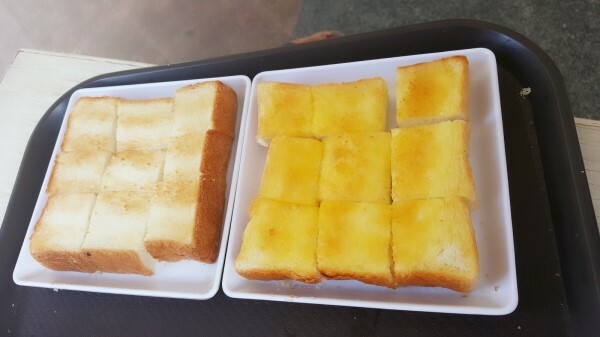 They serve really good slices of bread, just read the menu carefully and then order. The person taking the order might not understand if you say you want vegetarian food. Show them the menu and then ask for what you want. If you can’t find veg food then simply order bread and butter. Till now must have understood that there are so many things to do in Singapore that the more days you spend here the better it is. There are only two seasons in Singapore, wet and dry. The dry season is from March to August and the wet season is from September to February. So it will be a good idea to carry an umbrella with you. February to April is mostly pleasant while you will notice a lot of tourists during June and July. November to January are the wettest months. Before I say bye I would like to help you further through the following blog. You are welcome! Thank you and I am sorry but I haven't been to Andaman yet but I have heard a lot of positive reviews for it. People are honest and loving, do try scuba diving. Have fun! This is not what I expected from Singapore at all! Thanks for all the useful tips! I can’t believe i’ve never been to Singapore yet!!! I will definitely be going soon! Thank you so much for the great ideas. Looks like a fun trip! 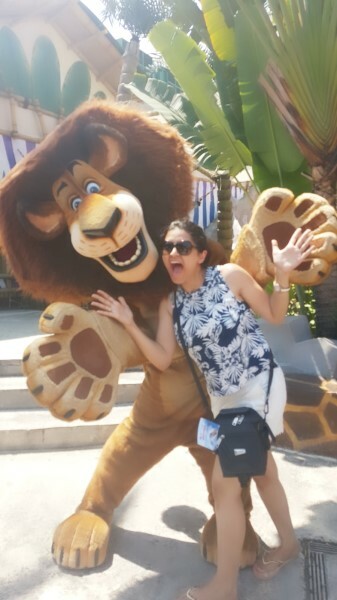 Universal Studios in Singapore sounds like a great family day! I love to explore the art and culture in a new city. It really is. I had a great time in the city. i had no idea there were safaris in singapore. thanks for sharing. There is even a River safari. It is a good option too. Yes, it really is amazing. One can have a great time in the city. This so helpful, very informative blog. Now i know what to do when oli go to Singapore. Thanks for sharing. Thanks, Surekha. I am inspired. Nice blog, thanks for sharing this information and tips. This could surely help me when i had the chance to go there. Thanks, Diana. I hope this does. This is just fueling my dream of visiting Singapore one day. Your information is very helpful and your photos enlightening. Thank you so much! I am glad I could inspire the traveller in you. 🙂 Thank you, dear. The more travel blogs I look at, the more I realize I have seen very little of the world. Never been to any place in Asia. Maybe some day. Absolutely..This world is huge. I wish you to explore it as much as possible. All the best! This is such a thorough guide! It will be incredibly helpful when I make it to Singapore. Thanks, Christa. I am inspired. It really is beautiful Jayne. Inspite of two visits I am yet to cover all the destinations. I had an amazing time there though. Thanks, Khushboo. Singapore is really amazing. Singapore seems like such a great place to visit! Singapore is so on my list! It looks amazing and for sure would love to spend there as much time as possible. I hope you get a chance soon to explore this city. So many amazing things to do! That night safari tour sounds like it would be incredible too! I have never been to Singapore, but it sounds great from your description! It’s definitely going on my list! Wow, such a detailed post that would be so helpful to plan a great trip to Singapore. Loving the pictures so much. That’s so true. It is a very good place for family vacation. I would love to travel to Singapore. The amusement park and Ocean World looks like a lot of fun. I didn’t even know that they had their own Universal Studios. Thanks for sharing! It is an amazing city.You will have a great time there for sure. Singapore Trip looks absolutley incredible! I need to plan an adventure very soon! It is…I hope you plan soon. This is a comprehensive guide to make the best out of your time in Singapore. I’ve been to Singapore a couple of times, but there’re still places listed here that I haven’t visited such as the Universal Studios and the Night Safari, which I heard great things about. I mostly go there for the food. And you’re right by saying that it’s better to not worry about taking pictures at night, and just simply enjoy the ride. It’s the experience that matters. Thanks, Fairuz. I really appreciate your feedback. 🙂 I hope you get a chance soon to explore all the missed upon things. Thanks for the great information. We are planning for a Singapore trip. I will keep all these in mind for sure. You are welcome. I hope you have an amazing trip. I always think it’s so hard to get a picture of an octopus. You got a good one here. Been to Singapore once. Loved the atmosphere at Changi Airport and Sentosa. All the tips are great, but I have never seen an airport like that one! SO BEAUTIFUL! Thanks, Miljana. It is indeed is pretty. your tips for making the trip more memorable are so useful and important, I love that beautiful airport. Singapore is on the top of my bucket list in 2019 so thank you for this comprehensive travel guide!